Lightweight, absorbent, and oh-so-soft, this oversized Egyptian cotton towel is sure to become your can’t-live-without staple. 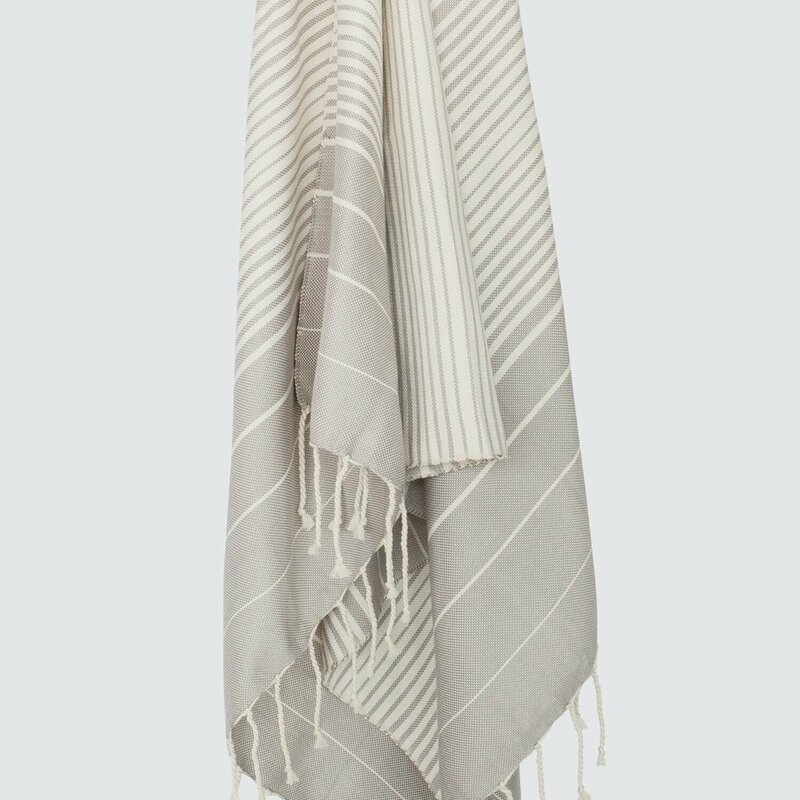 Featuring a soft grey hue, accented by cream stripes, this Turkish style towel is just plain beautiful. Hand-loomed by a weaving cooperative right outside of Marrakech, each towel takes over a day to complete. All made start to finish in a fair trade environment.